Do you struggle with completing projects or specific tasks? We'd all like to get things done and become more productive. But what often happens is we put off important tasks and let them slip through the cracks. The end result? We get overwhelmed by the amount of things to do. In other words, "procrastination" causes you to feel stressed when you're not completing tasks in a systematic manner. Having trouble achieving your goals? The reason most people aren't successful is they fail to follow a day-by-day strategy. Instead they start each day, "hoping" they will have enough time to take action on their goals. If you closely examine the world's most successful people you'd see they start each day in an energized state, ready to accomplish any goal. What's their secret? Put simply, successful people have morning routines that help them feel energized and ready to focus on their most important goal. Right now: Pick a bad habit, make a plan, and start today! It doesn't matter if you've failed with your habit efforts in the past. It doesn't mean you're lazy or weak willed. It means you didn't have the right tools for making a lasting habit change. What you need is a strategy for identifying your worst habits and learning how to overcome them. 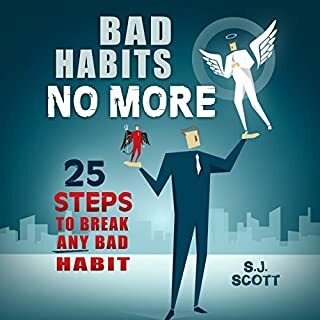 That solution is an audiobook called: Bad Habits No More: 25 Steps to Break ANY Bad Habit. Are you struggling with being organized? Do you have too much to do? Tired of forgetting important ideas or reminders? The truth is we're surrounded by so much "noise" (ideas, TV, social media, and advertising) that it's hard to slow down and keep track of the truly important things. One way to fix this problem? The Evernote app. I think Steve Scott is hysterical . . . . The Only Goal Achievement Guide You'll Ever Need! A comprehensive guide to setting goals. 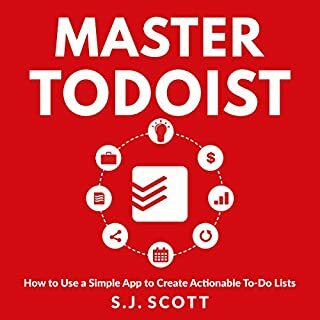 Master Todoist: How to Use a Simple App to Create Actionable To-Do Lists will help you rethink your to-do lists. It's easy to begin each day with a lengthy list of tasks without a clear direction of what to focus on first. The truth is: Most to-do lists are a distraction that often cause you to procrastinate on important tasks. Todoist is different because it's specifically designed help you manage all your day-to-day tasks - even if you have to juggle dozens of projects. Simply put: If you're someone who procrastinates, then this bad habit is limiting your success in a variety of ways. If you don't address this issue, then you'll reduce the likelihood that you'll achieve your major goals. 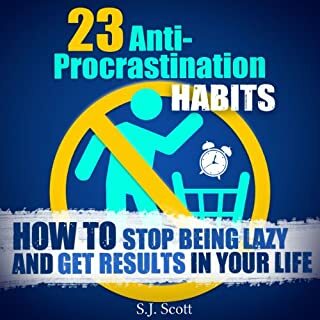 That's why it's critical that you focus on eliminating your procrastination tendencies by building what I call the "anti-procrastination habit." Whether you're someone who lets the occasional task slip through the cracks, or you always do things at the last minute, you'll discover an abundance of actionable advice. 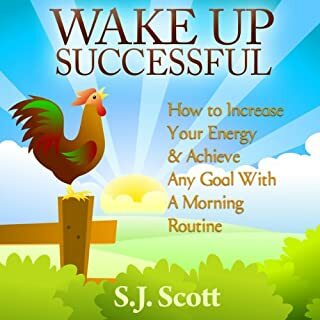 How to Boost Your Productivity, Explode Your Energy, and Create an Extraordinary Life - One Morning at a Time! Reduce your stress, feel more energized, and experience more success each day with a simple morning routine! Do you want to enjoy better health, stronger relationships, and improved focus? Would you like to lower your stress levels, develop a positive attitude, and have more quality time to yourself? If so, there's an easy way to make it happen: undergo a morning makeover. Imagine living in a home that's free from clutter. Your closets, cabinets and possessions are all completely organized. Wouldn't you feel relaxed? You can make this happen with the daily decluttering habit. The good news? You can do this even if you're a busy professional or a parent who has little time for a massive organizing project. All you need is 10 minutes a day and you'll be amazed at what can be accomplished with the following "Declutter Challenge" system. Imagine what your life would be like if your days were filled with purpose, productivity, and time to enjoy the little things. (Instead of chaos, overwhelm, and exhaustion.) You can make this happen by building a daily routine that perfectly blends your personality with your career and personal obligations. Unfortunately, it isn't always easy to stick to a day-to-day ritual. You might be so busy that you can't add anything else to your crowded schedule. Or you might be following advice that doesn't match who you are. Wish you had time to exercise? Turned off by the "meat market" scene at most gyms? Or are you simply unsure about how to get started with a daily workout? The good news is that you don't have to follow extreme exercise programs like Insanity and P90X or spend every free moment in the gym to experience the health benefits exercise has to offer. All you need to do is make a simple goal to exercise every day in a way that fits your already busy schedule. Break the 30 Bad Habits That Are Sabotaging Your Time Management - One Day at a Time! Great strategies to be much more productive! Are you creating to-do lists that never get to-done? It's easy to start each workday with a lengthy list of tasks. Then something unexpected comes up. Next thing you know, the day is almost over. You work hard at a frantic pace, but you end up feeling frustrated because there's not enough time to do everything. We all write lists with the hope that they will turn us into productivity machines. The wrong type of list can be de-motivating, causing you to slack off and procrastinate. Discover: How to create to-do lists that are both actionable and doable! Discover: How to set professional and personal goals that you actually achieve. Do you often set goals that you never seem to reach? We're all filled with dreams and aspirations. Most long for fulfilling relationships. Some desire personal freedom. Others want fame and success. And some strive for profitable businesses. Wherever your ambitions may lie, goal setting can get you there. On the other hand, the wrong goal can leave you feeling frustrated and unmotivated. When you set a goal that's too lofty, it's easy to give up when your dreams don't turn into reality. We all have important milestones we'd like to reach. The trick is to create a plan and commit to it. Setting S.M.A.R.T. goals can help you do this. Take Action: Focus on S.M.A.R.T. goals and get real results. It's easy to set S.M.A.R.T. goals. Simply write down a desired outcome on a piece of paper and create a deadline for achieving it. The hard part is taking action. As you know, the Internet is full of books that talk about setting goals. The problem? Most don't talk about the daily actions (or habits) required to achieve them. In the book S.M.A.R.T. Goals Made Simple, you'll get a 10-step plan for setting and achieving your goals. Unlike other titles, this book will teach you how to turn any idea into an actionable plan. Not only will you get an overview of S.M.A.R.T. goals, you'll also get a blueprint for turning them into daily routines. Download: S.M.A.R.T. Goals Made Simple - 10 Steps to Master Your Personal and Career Goals. S.M.A.R.T. Goals Made Simple contains a detailed blueprint of how to turn any major life goal into a doable daily plan. Most likely GOALS Book to shape reality by far!! If you could sum up S.M.A.R.T. Goals Made Simple in three words, what would they be? What other book might you compare S.M.A.R.T. Goals Made Simple to and why? There are hundreds if not thousands of documents on goal settting. Some go as far as to help guide the process using SMART.... This goes the extra mile and explains how to take action. It's a clear , full solution. Finally , its about time someone did ths. The MIT , Most Important task. Do it first! This was a great listen that stayed on topic. S.J. 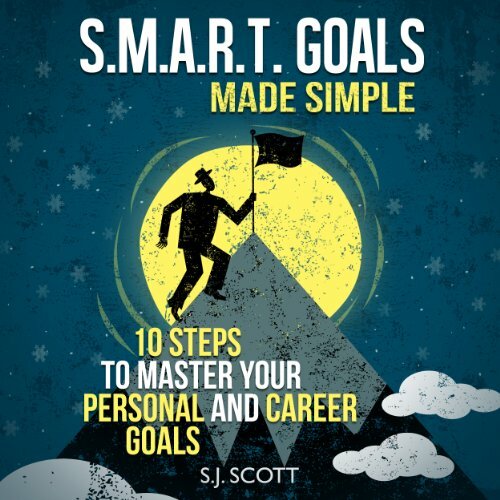 Scott goes over setting S.M.A.R.T goals without adding unneeded fluff. What did you love best about S.M.A.R.T. Goals Made Simple? Great listening that made sense at how to do your goals. What was one of the most memorable moments of S.M.A.R.T. Goals Made Simple? Loved it. Concise solutions for executing your goals. Very engaging. Actually made me buy another book. Thank you. I work for Texas Roadhouse. As a company we focus on SMART goals all the time, so it was great to find a book dedicated to it. They've even put extra time into continuing adding value to the book after it was purchased. It's nice to see the dedication to what they write about above a paycheck. I'd definitely recommend this book. No extreme favorite part. Just inside knowledge that is hard to grasp until you have outside help putting goals and routines into perspective. 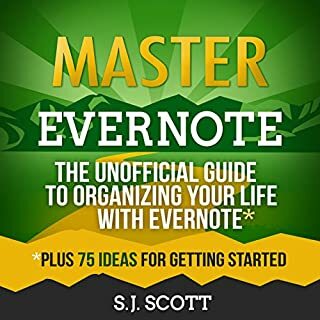 I found this book to be an easy listen and most helpful. Just what I was looking for at the time I was looking for it. I found this audio book inspiring and highly recommend it. My suggestion is to listen all the way through once and then listen a second time when you are able to stop, take notes, and put together ideas. I also praise the author in supplying show notes. Great job! 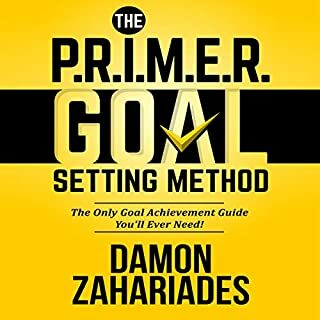 Best practical guide on setting SMART goals! Best manual for setting goals! It it hard to compare to one specific book. This book felt more practical and down to earth the most of the other books I listened to on this subject. This books provides clear step by step instructions on setting SMART goal in all major areas of life. It is full of examples and practical actionable advices.